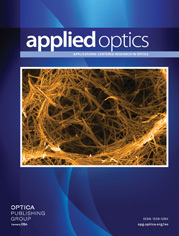 The authors are with the Department of Engineering Science, University of Oxford, Parks Road, Oxford, OX1 3PJ, UK. The radiation characteristics of waveguide diffractive doublets consisting of double gratings located on two surfaces of waveguide cladding film are modeled based on a singular perturbation method. We determine the conditions under which the presence of the upper grating does not affect the radiation characteristics of the waveguide diffractive doublet as a whole. This allows independent performance of the upper grating, which may be replaced by a general diffractive optical element, and of the lower grating as a waveguide grating coupler. The results obtained provide an alternative method for determining the thickness of cladding film in the waveguide diffractive doublets for guided-wave manipulation.